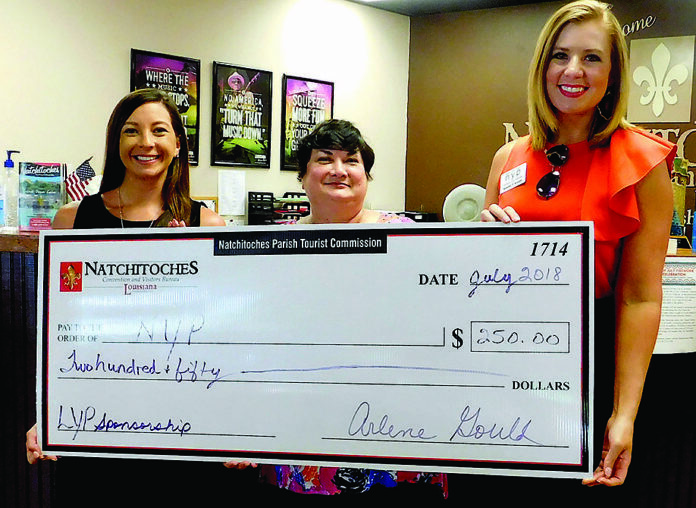 The Natchitoches Convention and Visitor’s Bureau is a sponsor of the Louisiana Young Professional Conference July 27- 28 in Natchitoches hosted by the Natchitoches Young Professionals. The conference is expected to draw over 200 participants from across the state. From left are NYP board member Micah Foshee, Natchitoches CVB Executive Director Arlene Gould and NYP board member Randee Knapp. For more information or to register for the conference, visit: www.natchitocheschamber.com or call 318–352–6894.